31 Oct 2018 (Shanghai). Because China is not only conducting the biggest HVDC roll-out in the world, but also setting up a manufacturing base that could challenge the biggest global players in the market, HVDC Belt and Road 2019 China Conference, will run on May 22-23, 2019 in Shanghai, China. 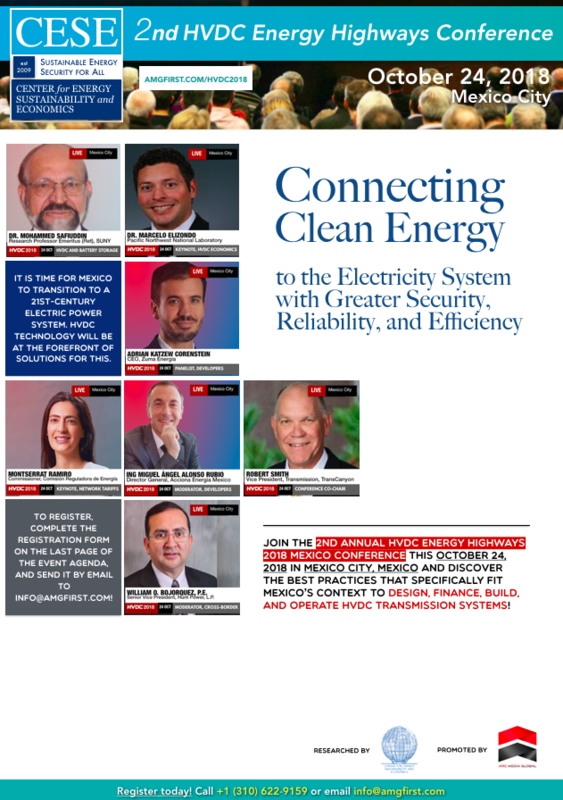 This conference is the third annual conference organized by the Center for Energy Sustainability and Economics, a division of Arc Media Global. Recent technological advances in high-voltage direct current (HVDC) transmission have led many to see it as a crucial element in an efficient, smart power system of the future; today,a long distance 800 kV HVDC line loses just 3.5 per cent per 1000km, and is able to transmit many gigawatts of power. Past sponsors and attendees of the Center for Energy Sustainability and Economics global HVDC conference series span the biggest names in HVDC, smart grids and long-distance transmission, circuit breaker and technologies, including Siemens, ABB, Sterlite, Acciona Energy, Sempra Energy, Hifaely Hipotronics, CESI Italy, IENova, and China State Grid / CEPRI. China is by far the biggest HVDC investor, helped by its simple planning and open policy structure. The Belt and Road Initiative (BRI) will push for approval of a massive $250 billion upgrade plan that will link regional grids via 20 HVDC power corridors by 2020. Led by China's dominant transmission companies, the State Grid Corporation of China (SGCC) and China Southern Power Grid Company will connect China's energy resources to its demand centers along its coastal rim--with a capacity expected to grow to 1500 GW by 2020 from 1060 GW at the end of 2013. "Cashing in on the China Belt and Road Initiative where the business volume is thick brings a solid strategy to diversify global sales for transmission companies," says Mr Rex Sayson, Director, Programs, Center for Energy Sustainability and Economics. "At the first week of the launch of the program, we are pleased to have received a very strong pipeline of interested technology providers interested in China's very lively HVDC market," Mr Sayson adds. Unlike its counterparts overseas, China's objective is to build connections between regions, in line with national macro energy planning. In the US of Europe, there's no similar body linking local national or state grids. For Chinese provinces with surplus power, returns are higher if the electricity can be exported to areas of tighter supply. Connecting north-to-south lines and west-to-east at an HVDC project cost of $1.05 million per mile would mean $40 billion worth of business by 2020. To be able to enjoy this big business, technology providers will work with local companies on the basis of technology transfer. HVDC projects are being built with an increasingly higher proportion of domestic manufacturing content, experts say. Early bird discounts of special rate of US$1050 per person to attend ends on November 13, 2018. Usual delegate price ticket is US$3950 per person. AMG is an industry insights and learning company. For over 10 years, we research, document, and impart bodies of industry theory and practice and systematize them for profitable instruction, improvement and innovation to help B2B companies achieve sustainable, predictable, profitable growth. Our goal is that every professional will be complete and proficient, outfitted and thoroughly equipped for every good work. Our products are conferences, industry expos, industry consulting, and lifelong learning modules, apps and tools for the workforce. Visit www.amgfirst.com to work with us. 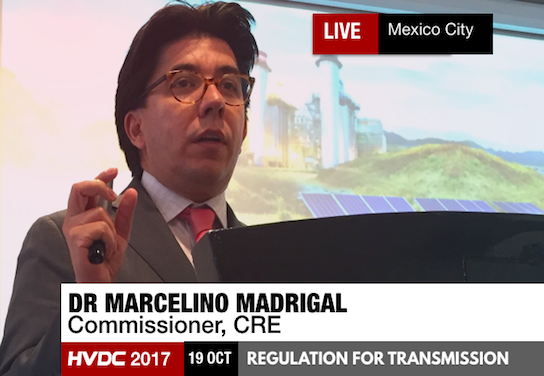 How to Manage RIghts of Way for Transmission Developers | Register for HVDC Energy Highways 2018 Mexico before it goes back to USD 3950! 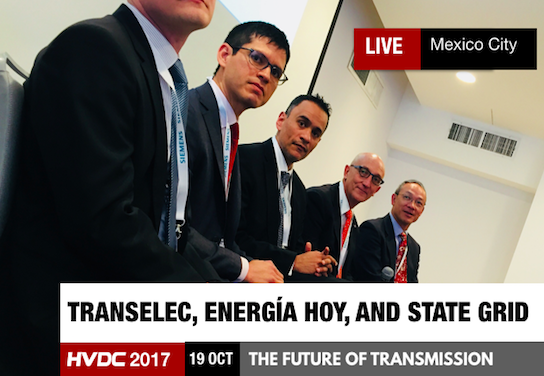 “There’s a clear need for transmission infrastructure” in Mexico, and that the country is “fertile ground for these opportunities,” says transmission developers. Effectively managing issues regarding land rights is a critical component to seizing these opportunities. We are pleased to welcome Ms Cynthia Renée Bouchot Preciat, CEO of Energía CB--who will guide us through issues of rights of way in Mexico. Early bird of US$1050 ends on Fri, 28 Sep 2018 - usual price is USD 3950! 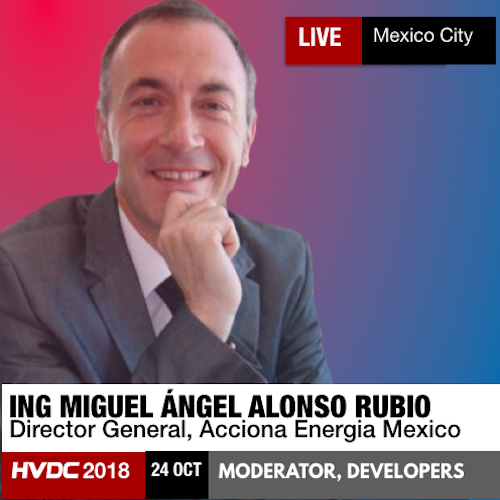 The 2nd HVDC Energy Highways, held on October 24, 2018 in Mexico City, connects you with clean energy companies, transmission networks and HVDC projects in Mexico. SENER recently welcomed 109 companies that confirmed interest in transmission projects. Mexico is too big of a market to ignore. SENER says the country’s generating capacity has doubled to more than 73 GW since 2000, and load growth and the retirement of aging, inefficient plants will require another estimated 50 GW of generation over the next 15 years. 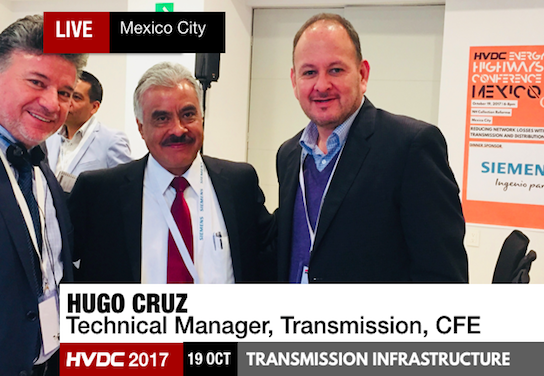 Mexico hopes to add $10 billion worth of transmission infrastructure in the coming years, including the two competitive projects. 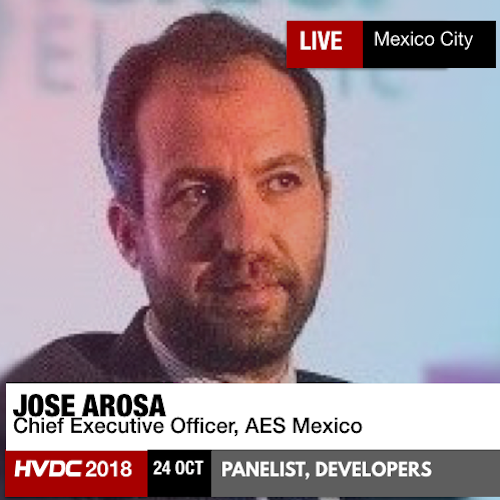 José es director general de AES México, la cual tiene tres centrales eléctricas con una capacidad instalada total de 1,055 MW en el país. AES México también tiene una empresa conjunta 50/50 con el conglomerado mexicano Grupo BAL para invertir en proyectos de energía e infraestructura. a. A two-pole direct current transmission line with a voltage of ± 500 kV and a length of 610.5 km. b. 5 transmission lines in alternating current, with voltage of 400 kV and lengths of 25.3 km, 0.3 km, 131.3 km, 0.0 km and 138.7 km. c. 7 electrical substations of various technical specifications. d. 2 converter stations of 3,600 MW and ± 500 kV. a. A point-to-point, direct current transmission line operating in a bipolar form with a capacity of 1,500 MW, at a voltage level of ± 500 kV and with a length of 700 km. b. Two converter stations with HVDC VSC technology of 1,500 MW, with a direct current transmission voltage of 500 kV, primary AC voltage level of 400 kV and secondary voltage according to the manufacturer’s design. 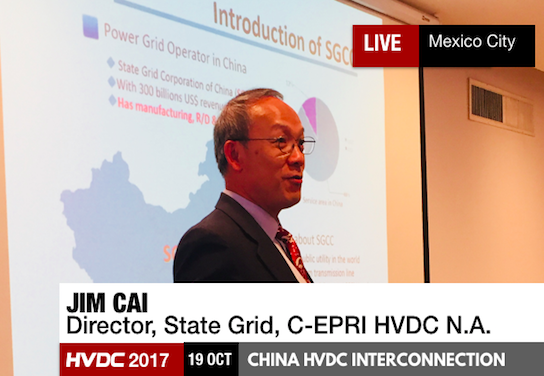 "China's HVDC technology is available to the world," says China State Grid Director, Jim Cai. China has become the world’s largest HVDC investor and plans to invest $250 billion on aggressively deploying HVDC lines to bridge the development gap between the nation’s power-producing western provinces and the population-dense east. From calculated domestic investment, Beijing now has the capability to export HVDC technology abroad through the Belt and Road. Build relationships with Mexico, Brazil, China, Colombia, Spain, the United States and India here. 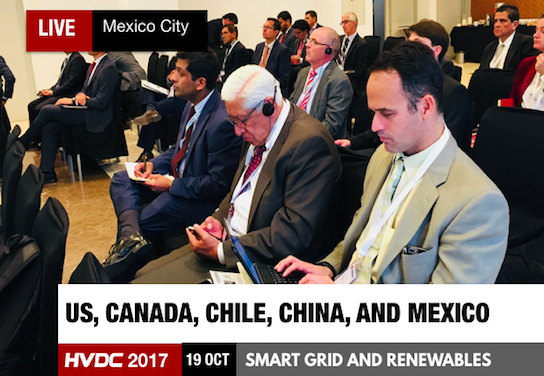 Develop significant new generation potential in Mexico from clean energy through HVDC. Miguel Ángel arrived in Mexico as Technical Director at Acciona Energy and became Country Director in 2008. After 10 years of continuous growth, Acciona Energy now has 1000MW renewable capacity in operation out of 1488MW installed. 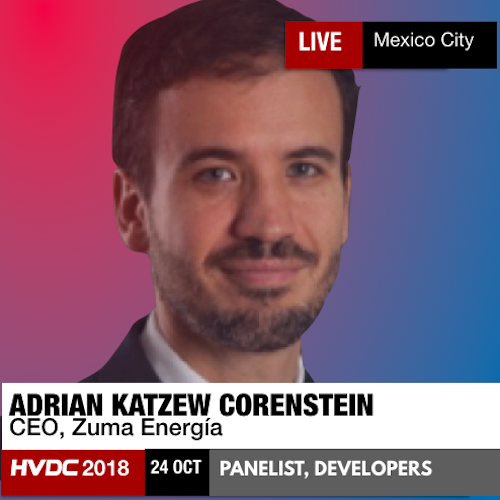 Adrián is currently responsible for building a portfolio of more than 500 MW of renewable assets in Mexico. He has implemented 900 MW of wind projects, and was responsible for the financing of 35 energy projects with Banco Santander in Madrid. Efficient HVDC power lines eliminate the drawbacks of moving power across these long distances. For large grids, HVDC lines provide an undeniable boon: electricity surpluses in one area can provide power to a nation’s farthest flung regions, reducing blackouts. HVDC can also balance out the intermittency of renewable energy. Wind and solar power are typically generated far from urban and industrial centers—by offshore wind farms anchored in turbulent seas or solar panels arrayed in isolated deserts. 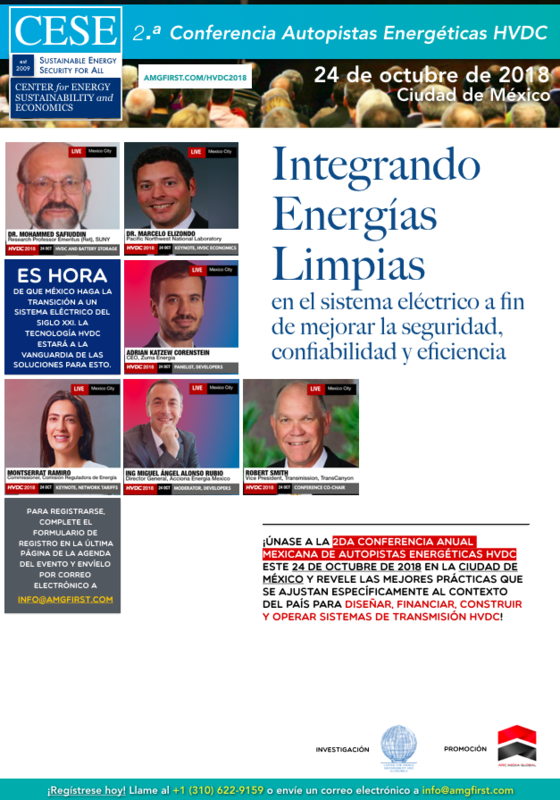 The first call corresponds to the Award of the Management and Operation Agreement for the Electric Transmission Infrastructure for the interconnection between the Baja California Electric System and the National Interconnected System. The second call corresponds to Project: 303 TL in Direct Current Ixtepec Capacity-Yautepec Capacity (Proyecto: 303 LT en Corriente Directa Ixtepec Potencia-Yautepec Potencia). Meet Ing. César F. Fuentes Estrada Projects & Construction Subdirector from CFE. 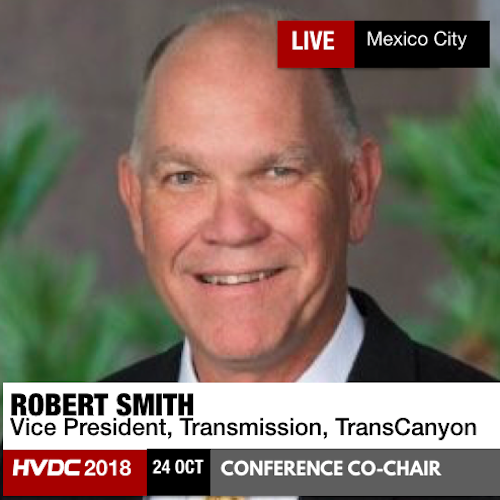 Chairing the 2018 HVDC conference, Bob Smith has enjoyed a long career in transmission planning and development, much of it in the American West where he said federal lands can create “unique problems” for building electric infrastructure. As vice president of transmission, planning and development for TransCanyon, Smith is responsible for conceptualizing and planning transmission projects for the joint venture between Berkshire Hathaway Energy and Pinnacle West Capital. BHE is Warren Buffett’s energy holding company that includes PacifiCorp and NV Energy. Pinnacle West’s assets include Arizona Public Service. Together, they offer $90 billion worth of “leverage” to TransCanyon. Montserrat was appointed Commissioner by the Senate for a period of five years 2014-2019. 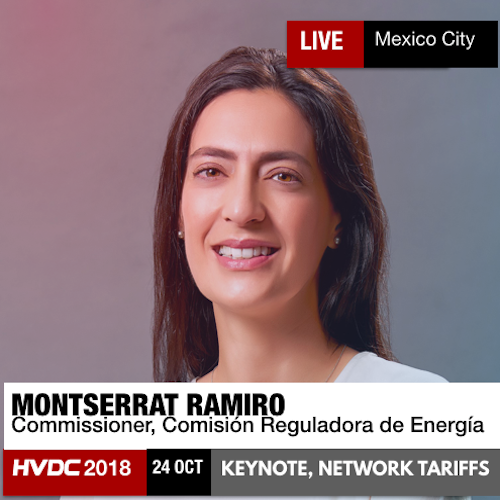 She has a Master's in Economics from University College London, and previously served as Director of Energy at the Mexican Institute for Competitiveness (IMCO). Bill who has over 30 years of leadership in senior management roles at Southern California Edison, Cal- ISO, ERCOT and Hunt. 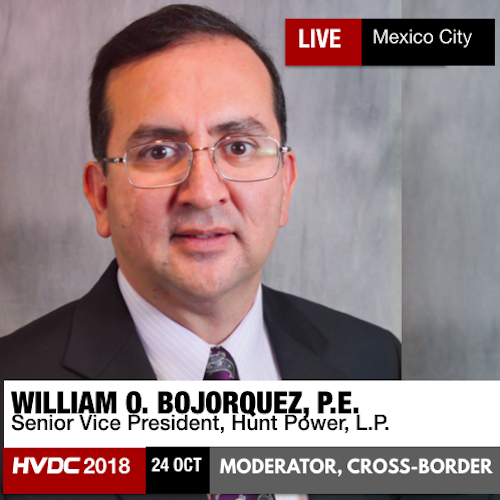 He is now responsible for evaluating new technologies for over $3 billion in transmission projects for Hunt throughout North America, will shed light into the topic of cross-border interconnections. 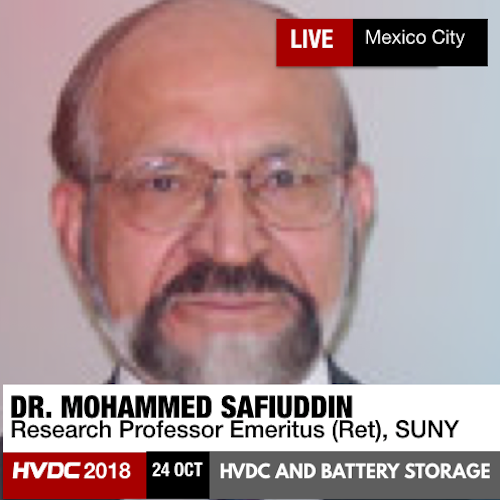 HVDC 2018 is honored to have Dr. Mohammed Safiuddin as our key technical expert presenter for the 2018 conference. He is currently Research Professor Emeritus in the Electrical Engineering Department of University at Buffalo (SUNY), and has been awarded 10 patents in static power conversion and optimal control systems. One of the works is the subsea HVDC line that will connect the isolated system of Baja California Sur to the national interconnected system (SIN). 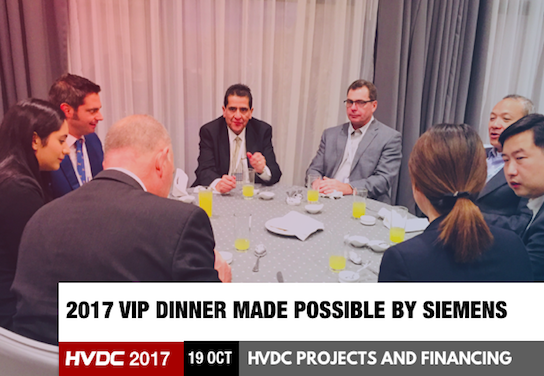 It is estimated that the project will start operating in 2021.
Business meals are worth a dozen meetings. Get work done, launch a relationship or cement a deal. 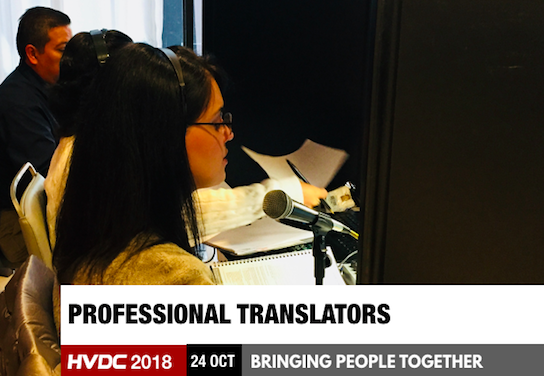 A great feature of the conference is real-time translation. Understand your clients' ‘why’ organically. 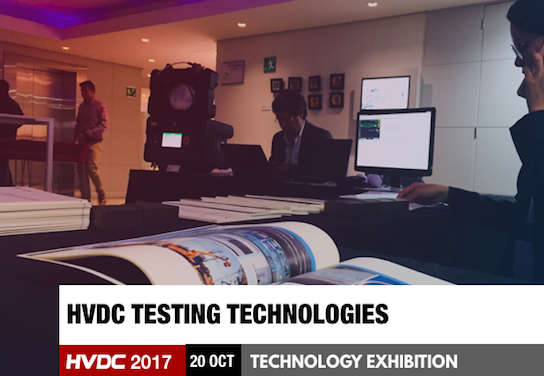 Ask the right questions and finding somebody who can answer them specific to HVDC at the conference. The SENER-BC Project is structured as a DFBOT (design, finance, build, operate and transfer) project. The basis of this structure is executing an electric energy transmission management agreement (the SENER Agreement) between SENER and the winner of the tender, which may be incorporated as a special purpose vehicle (SPV) and act as the contractor under the SENER Agreement. Due to the characteristics of this structure and in accordance with the provisions of the SENER Agreement, the SPV is jointly and severally liable with SENER to carry out the provision of the public electric energy transmission utility before the CRE and CENACE. This project design is similar to that of the Independent Power Producers implemented by CFE under the former Electricity Utility Law, in which private entities produce electric energy for exclusive sale to CFE in exchange for consideration. The winner of the tender is required to establish an irrevocable investment, management and source of payment trust with SENER and the SPV as trustors and trustees. The trust will receive and manage the assets of the SENER-BC Project, as well as the economic resources derived from the SENER Agreement, to serve as a means of repayment of the financing. The CFE-Yautepec Project is structured as a BOT (build, operate and transfer) project. In this structure, the contractor will not be directly responsible for the provision of the electric energy transmission public utility, as the contractor is only a provider of services related to this activity. CFE will continue to be responsible for the provision of this public utility and will be the entity that receives payment from CENACE of regulated transmission fees. This structure also contemplates the incorporation of a transmission system trust in which the contractor that is awarded in the bidding procedure (the CFE Agreement)27 and CFE will participate, as trustor and trustee respectively (the CFE Trust), which will receive and manage the assets of the CFE-Yautepec Project, as well as the economic resources derived from the Agreement for the Provision of Services regarding the Transmission Public Utility (Contrato de Prestación de Servicios Relativos a la Prestación del Servicio Público de Transmisión, or the CFE Agreement) to be executed by CFE. Learn the best way to engage! There is no better conference to nurture your important contacts and connections. The intimacy of the conference allows for personal re-connection that can naturally flow into your business. Find us in all these internet places. The HVDC Interconnection (High Voltage Direct Current) from point to point will have a voltage level of 500kv, with an estimated length of 1,400 kilometers circuit. The Mexicali-Hermosillo transmission line, which will connect the isolated system of Baja California with the National Interconnected System (SIN), began its bidding period and opened its data room to a dozen countries and 19 private companies, among them which are Sinohydro, Engie, Nova, ABB, Siemens, Iberdrola, TC Energía Mexicana and China Electric Power. The prequalified registry began on May 21 and will end on June 15, according to the calendar shown in the panel "Energy and Border Opportunities and the Future of the North American Free Trade Agreement (NAFTA)", while the reception of technical and economic proposals will take place until August 22, then give way to the ruling on September 14. The importance of this project lies in the fact that it will connect the isolated system of the Baja California Peninsula with the SIN through a high voltage direct current link between the Cucapah Converting Station in the Mexicali zone, Baja California, and the Seri Converting Station in the region of Hermosillo, Sonora. The HVDC transmission market was valued at USD 6.79 Billion in 2016 and is expected to reach USD 11.52 Billion by 2023, at a CAGR of 7.31%. The increasing demand for cost-effective solutions for long distance power transmission and integration of VSC technology across grids to enable system security are the major factors that drives the HVDC transmission market. The converter station is expected to grow at the highest rate. This growth can be attributed to the rapidly growing market for valves and circuit breakers. The market for valves is expected to grow in the coming years due to the presence of insulated-gate bipolar transistor (IGBT) valves, which are majorly used in the voltage sourced converter (VSC) technology in HVDC projects. The increasing demand for VSC technology in HVDC projects is expected to fuel the growth of the market for valves present in converter stations. An LCC station is ideal for high-power long distance transmission. Moreover, LCC station reduces power losses in the complete HVDC transmission systems. However, the LCC-based technology has its own limitations though it is widely used in HVDC transmission worldwide. The LCC-HVDC technology is used for submarine and underground transmission, asynchronous link between AC systems, and long distance bulk power transmission through overhead lines. Source: HVDC Transmission Market - Global Forecast to 2023. CFE expects to receive bidding offers in August and the award and signing of the contract is scheduled for September. Mexico's national electricity infrastructure will add eight new projects at $3.5 billion. There is no better venue to nurture your important contacts and connections. The intimacy of the conference allows for personal re-connection that can naturally flow into your business. 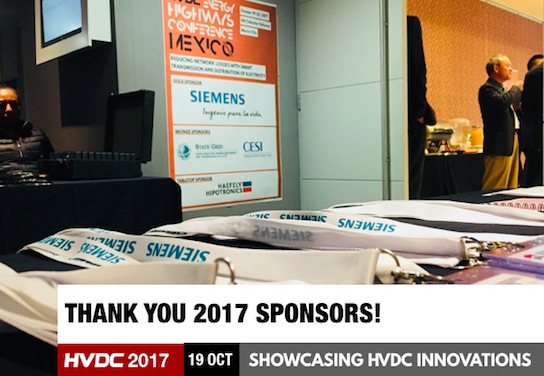 Attend for only USD 1050 at the only HVDC Energy Highways conference in Mexico City in its second year! 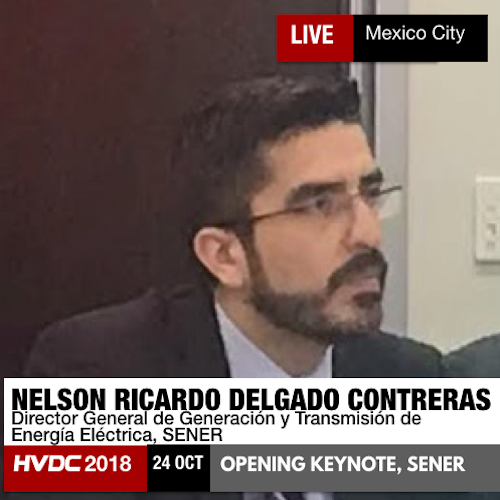 1.5-GW transmission line to connect the isolated Baja California grid | Register for HVDC Energy Highways 2018 Mexico for only USD 1050! Mexico’s tender for a 1.5-GW transmission line to connect the isolated Baja California grid to the National Interconnected System has attracted the interest of 45 companies from Brazil, China, Colombia, India, Mexico, Spain and the US. 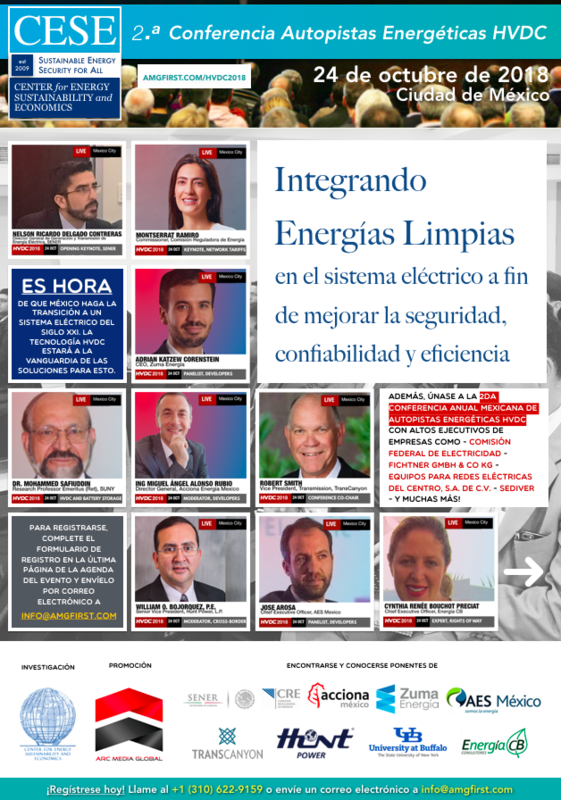 Mexico's Secretariat of Energy (SENER) said Monday the proposals by bidders in the tender will be presented in July and the winner will be announced on September 14. 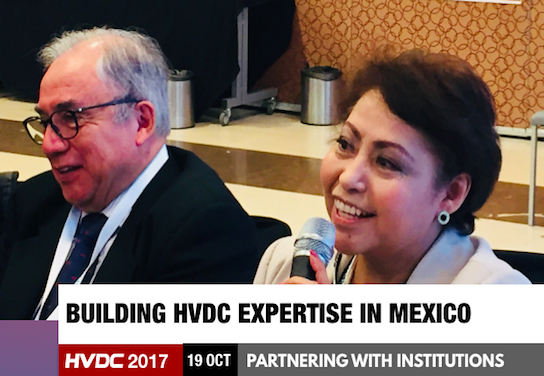 Attend for only USD 1050 at the only HVDC conference in Mexico City in its second year! State Grid finished the 12,000-mile-long Xiangjiaba-Shanghai transmission project, which spans a distance nearly equal to that between Boston and Atlanta, in 2010 after just two years. TransCanyon LLC is a 50/50 joint venture between Pinnacle West Capital Corporation and Berkshire Hathaway Energy Company. Bob has worked in the electric industry for 30 years and is presently Vice-Chair of the WestConnect Planning Management Committee. 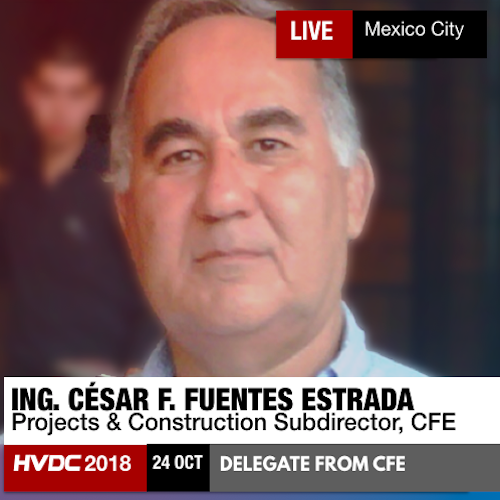 CFE-Yautepec Project | Register for HVDC Energy Highways 2018 Mexico for only USD 1050!